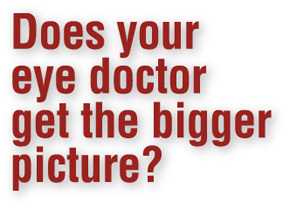 In a traditional eye exam, most doctors view your retina-one tiny 15% snapshot at a time. optomap's 82% view shows doctors a larger picture that makes it easier for them to see red flags for disease. Find an eye doctor who includes the optomap® as part of their eye exam in Atlanta, Boston, Denver, Fort Worth, Minneapolis, Seattle and other cities near you across the US..